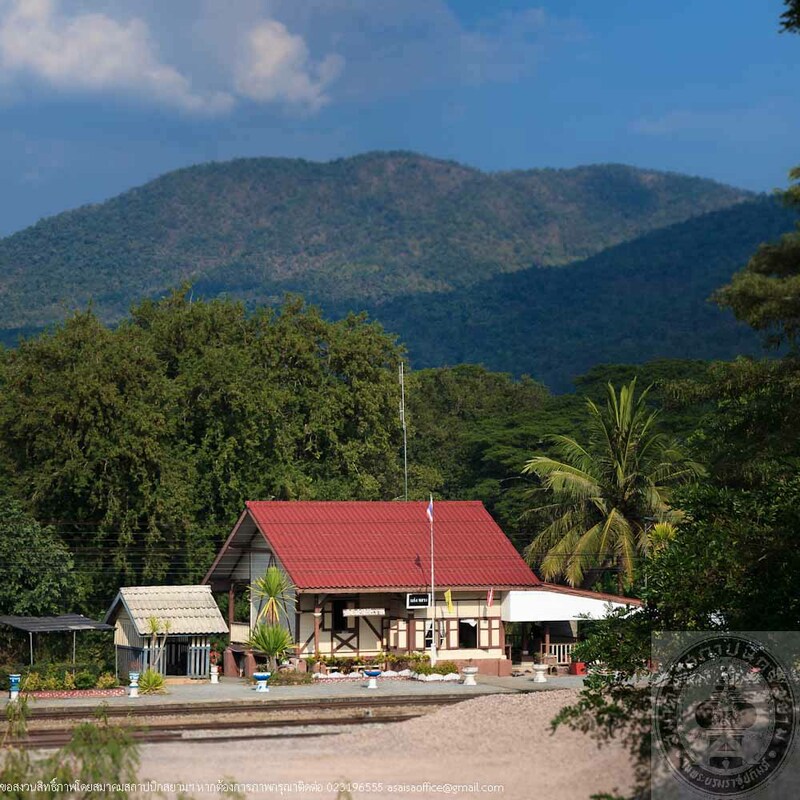 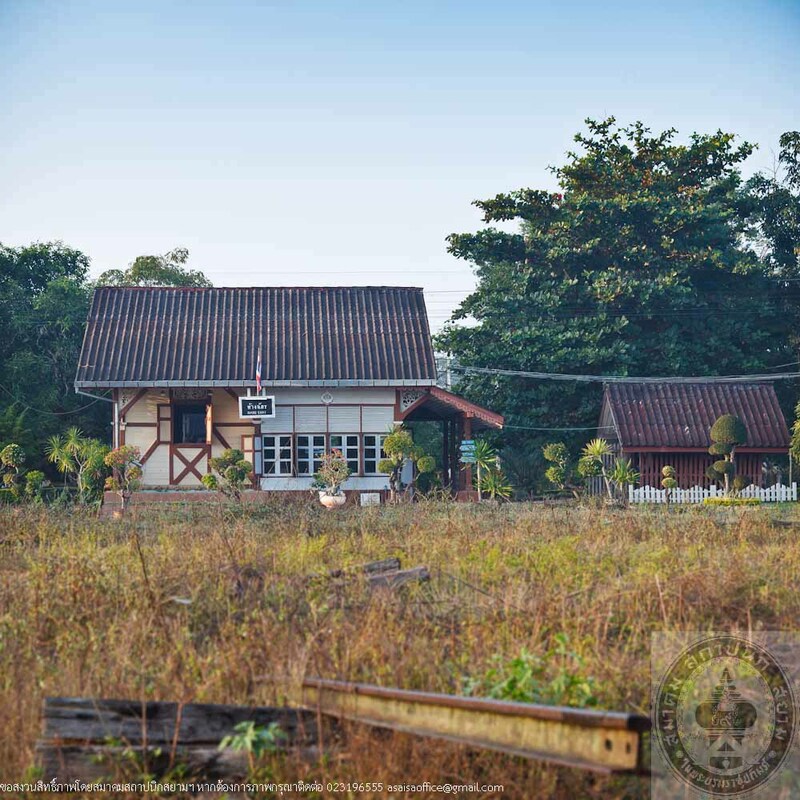 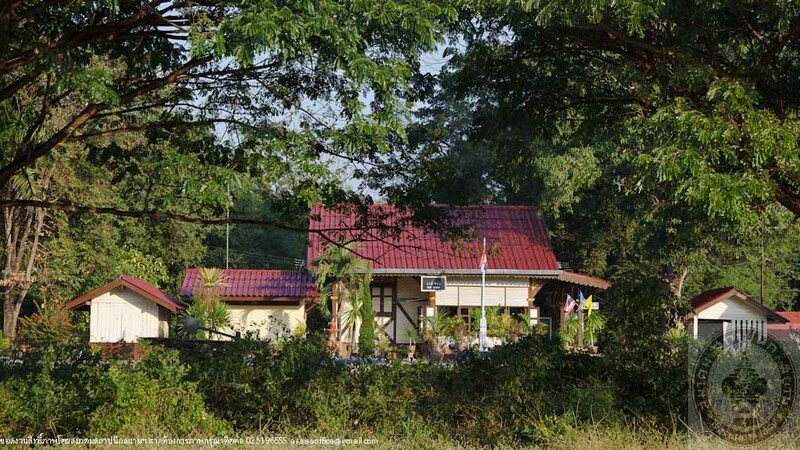 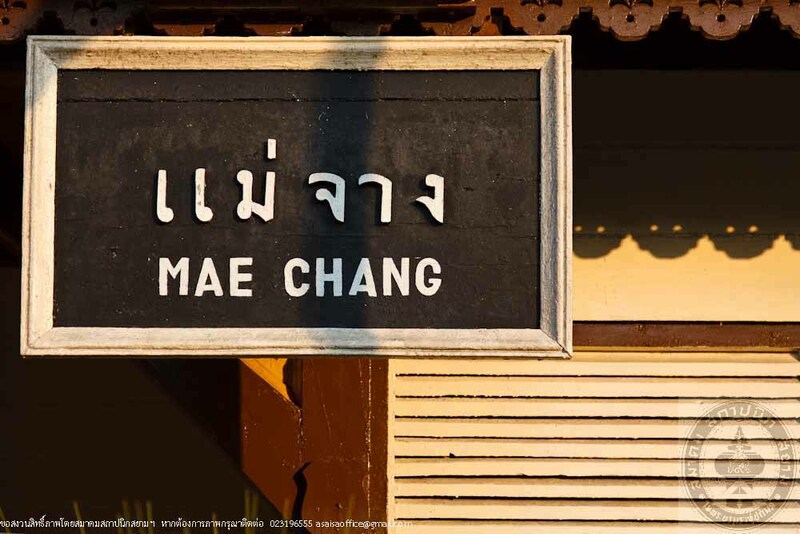 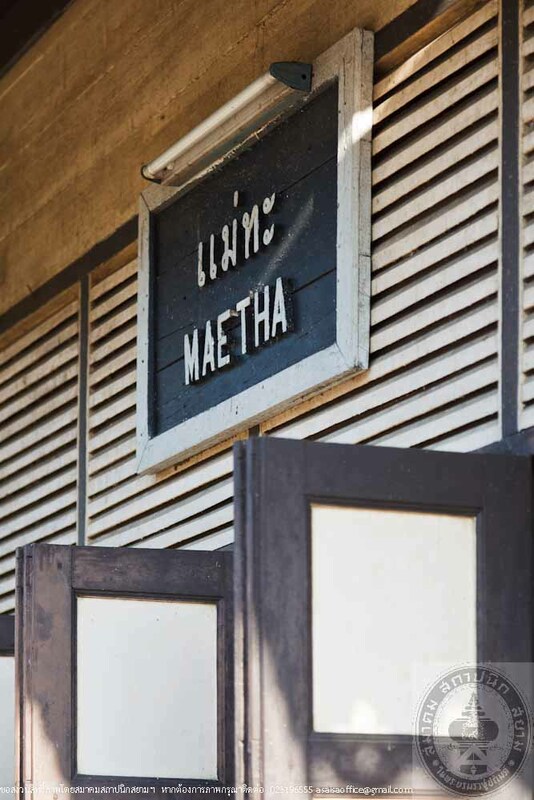 The railway stations of Hang Chat, Mae Tha, Mae Jang, Pang Puey and Kaeng Luang have a unique design because they were designed to conform to the hot and humid climate in the country. 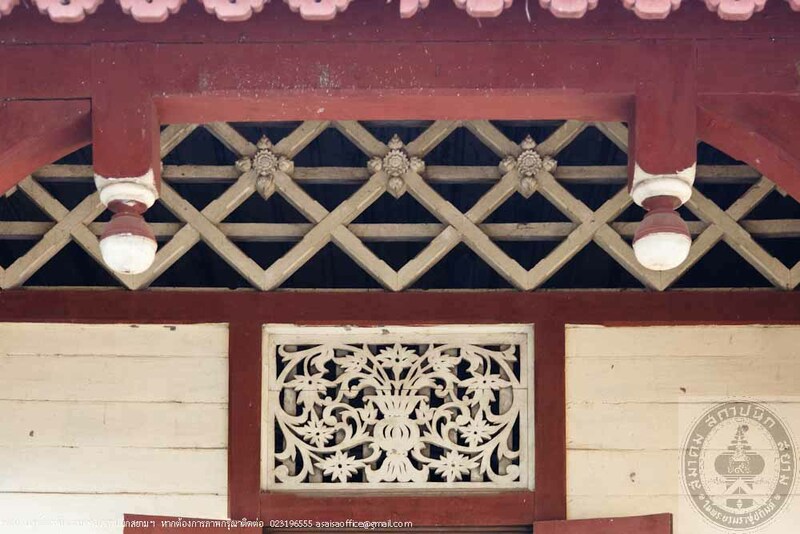 Their beauty is a combination of the western and local Lanna art styles. 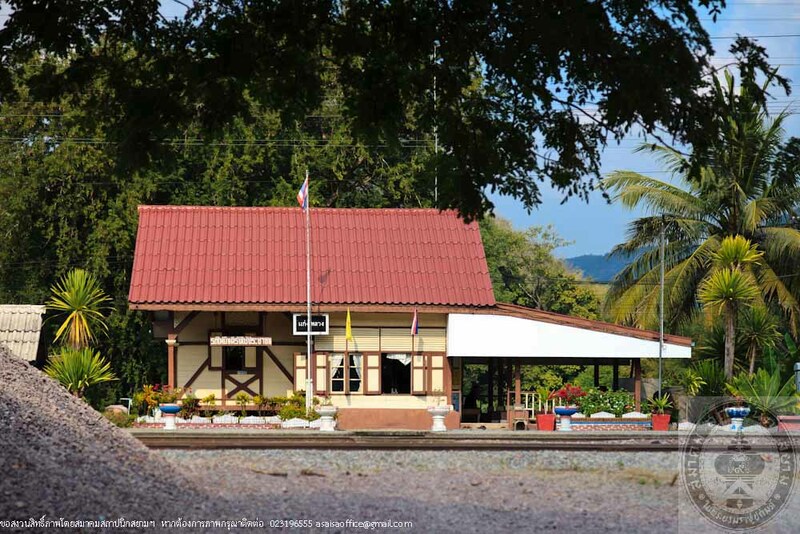 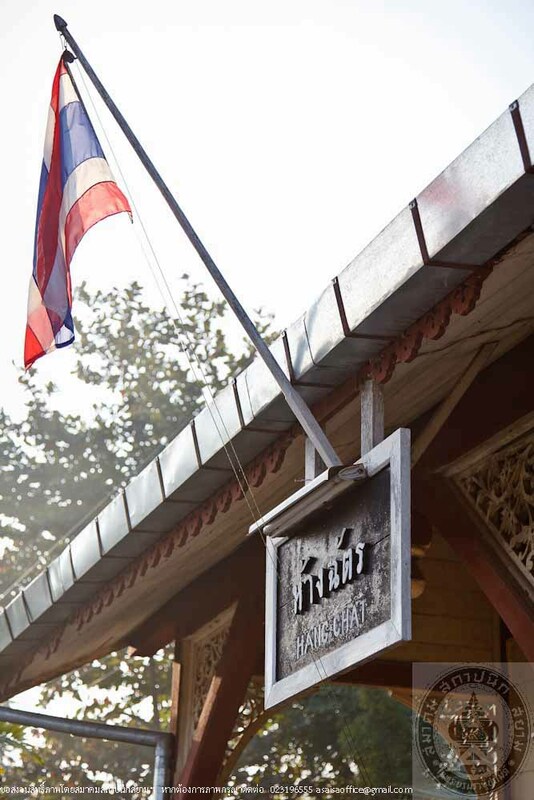 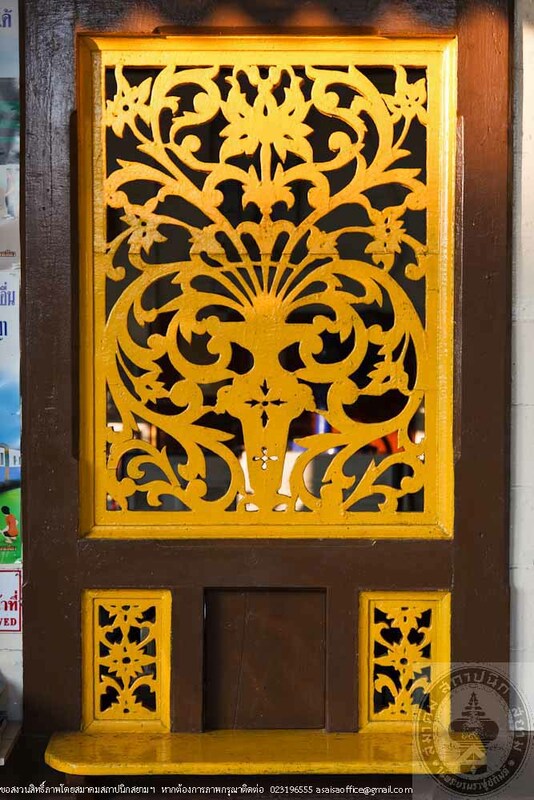 There are only 5 railway stations in Thailand that have the architecture in this style. 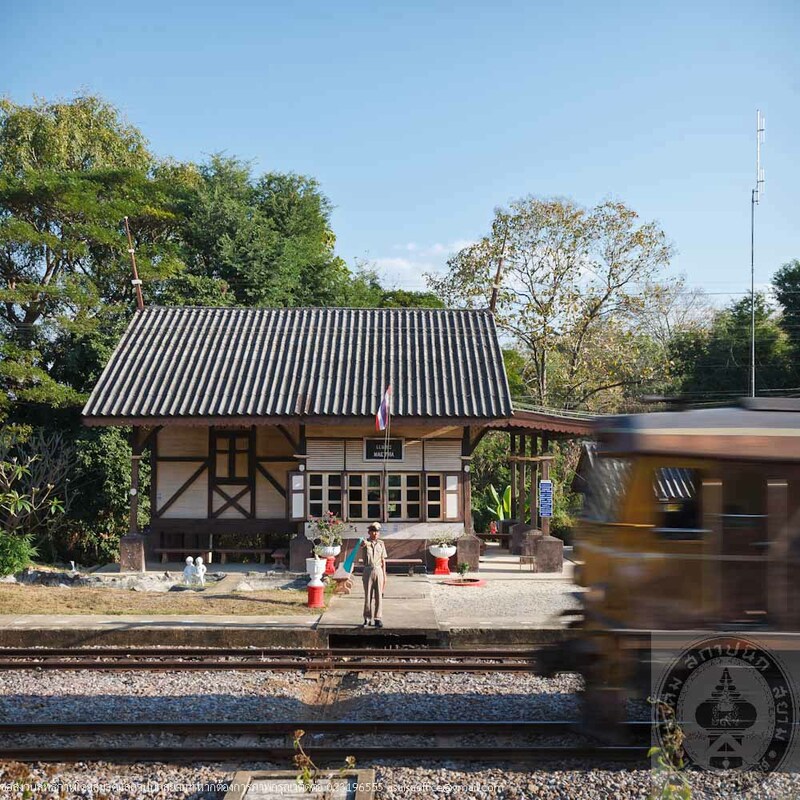 The State Railway of Thailand has maintained the stations in good condition and continued providing services to passengers and cargo transportation. 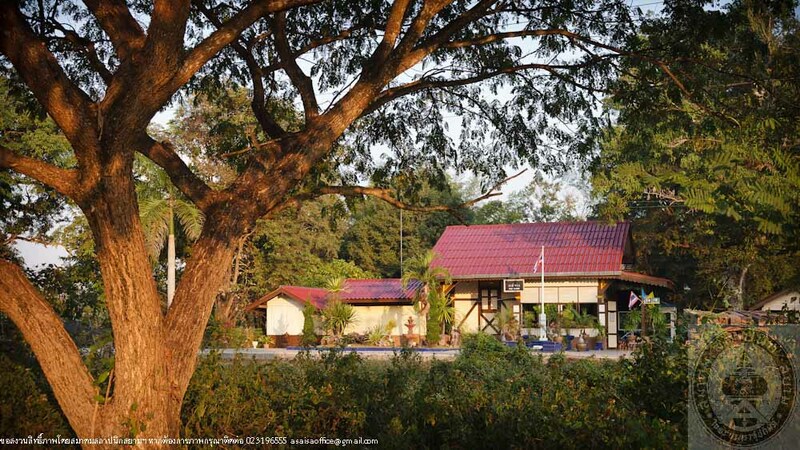 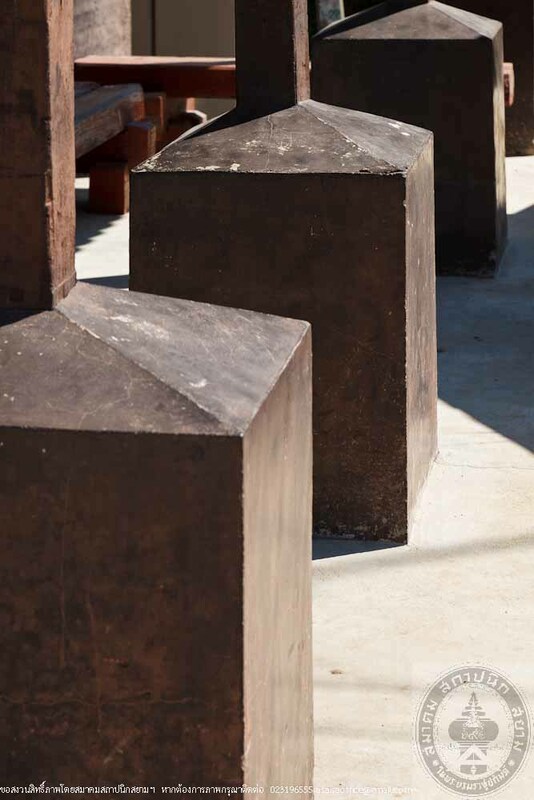 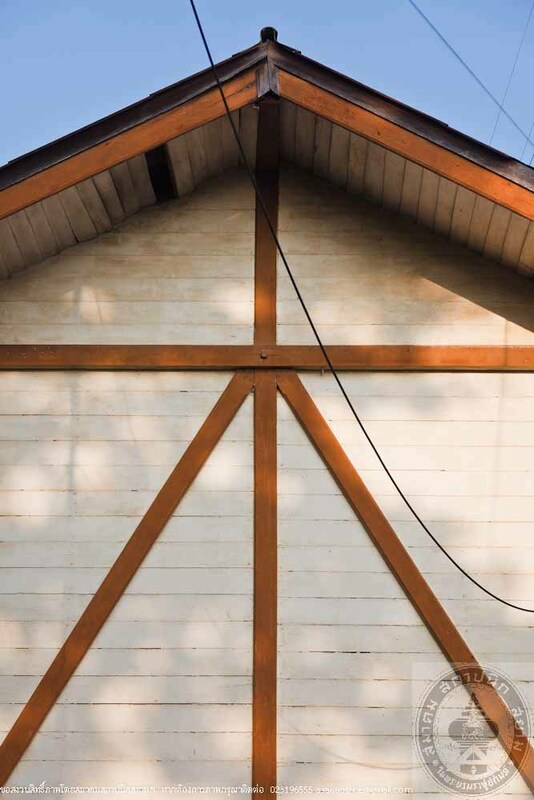 The rectangular building has one and a half storey made of wood supportingwith concrete columns. 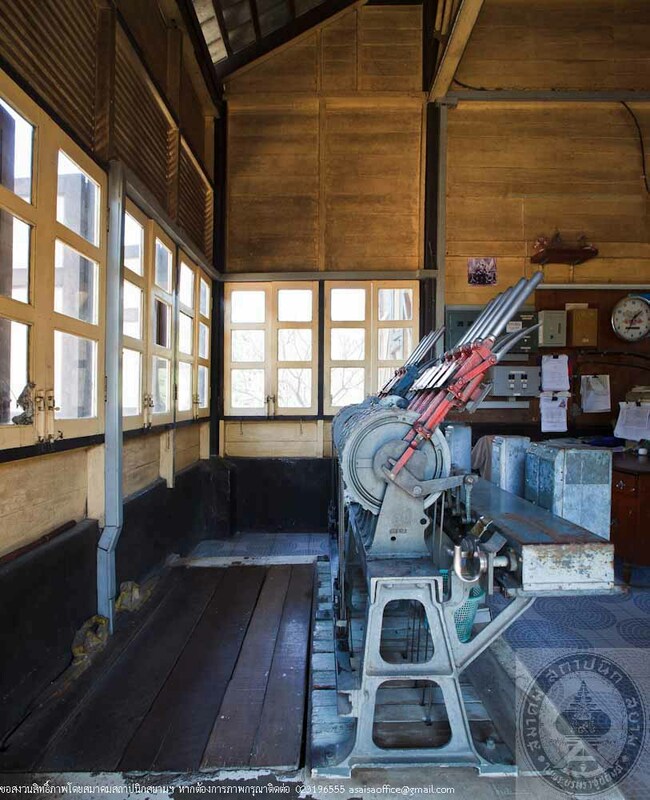 There is an office with the signal porch in the front designed by an architect named Nich Hirunchiranun in 1952. 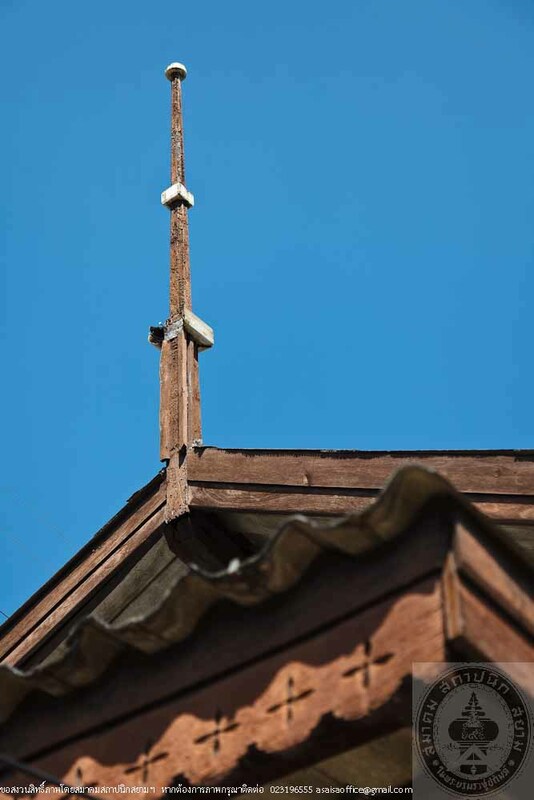 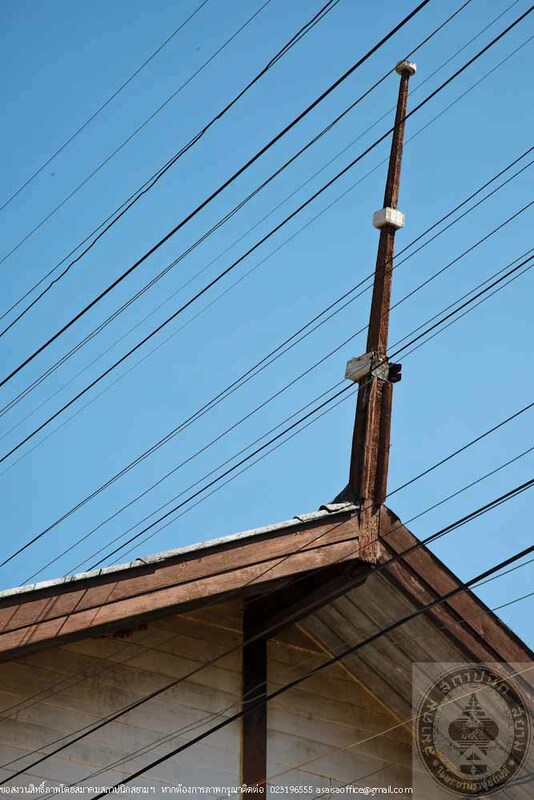 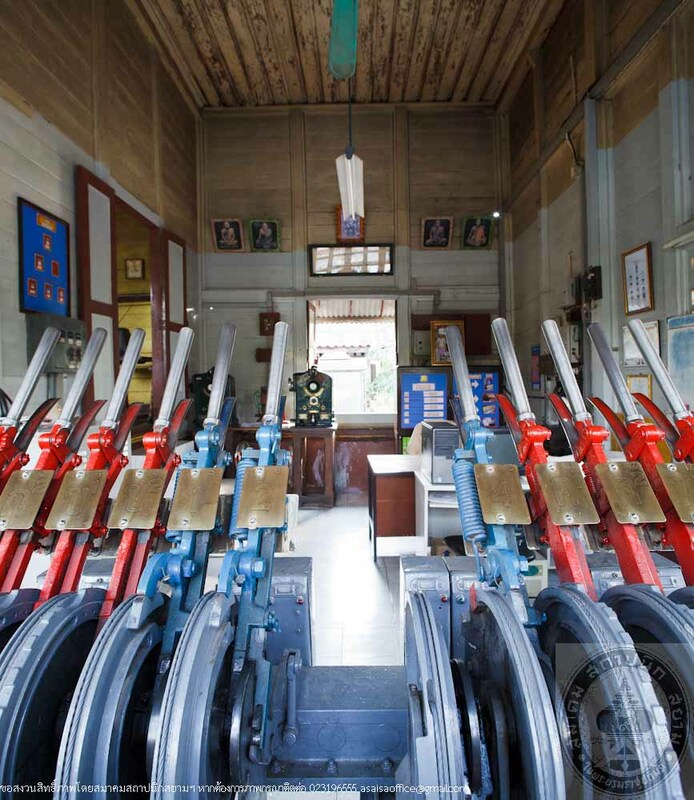 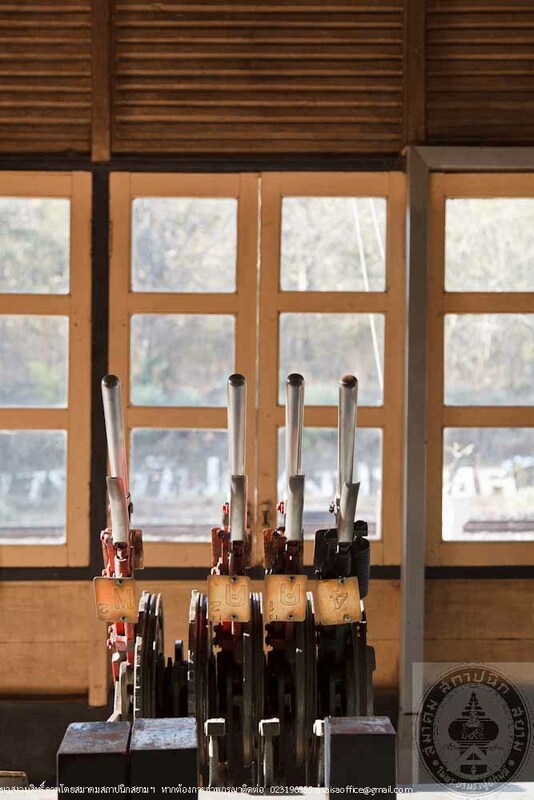 Anyway, Pang Puay Railway Station does not have this signal porch. 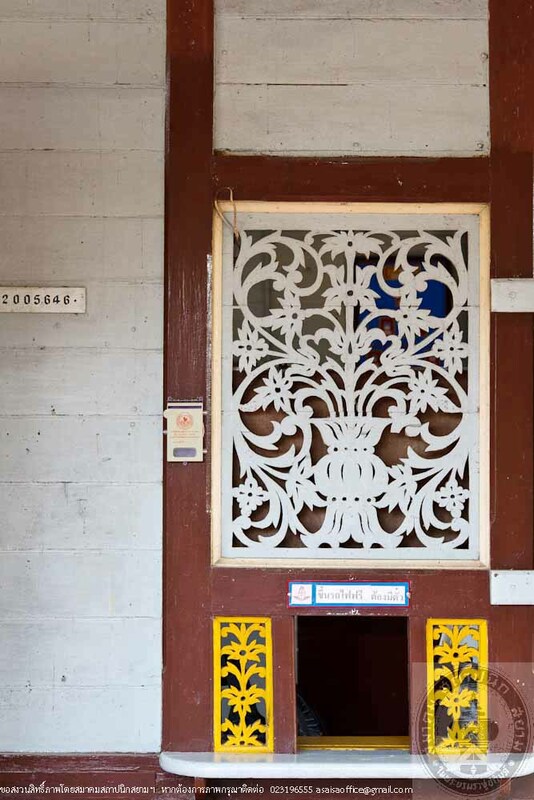 At the back of the office, there are the stairs leading to the bedroom upstairs of the station chief. 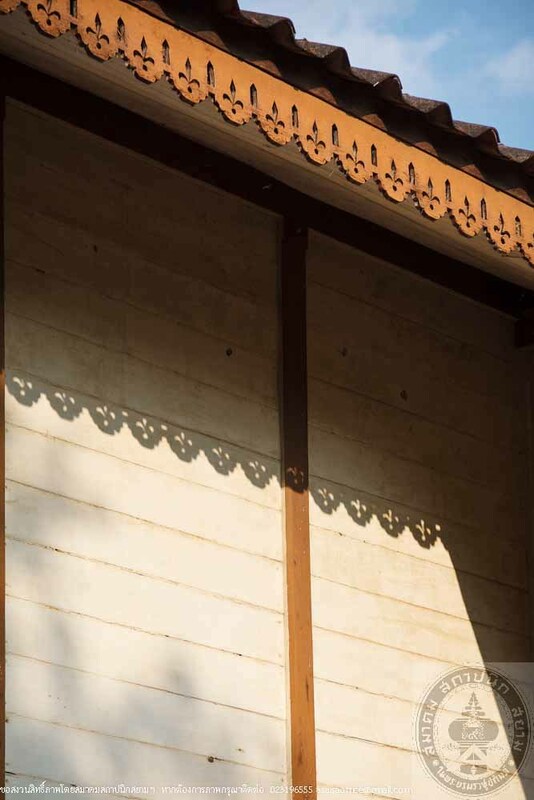 The back of the bedroom has a wooden balcony. 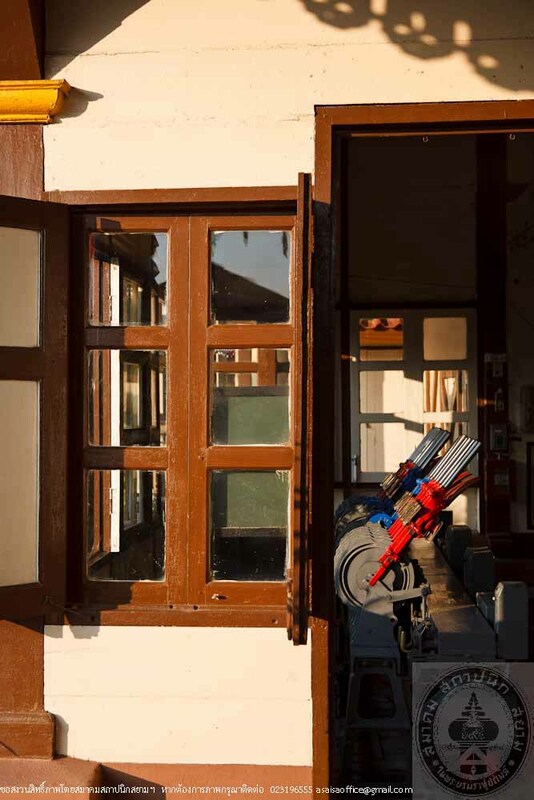 The waiting spaces for the passenger are at the side of the office and in front of the bedroom. 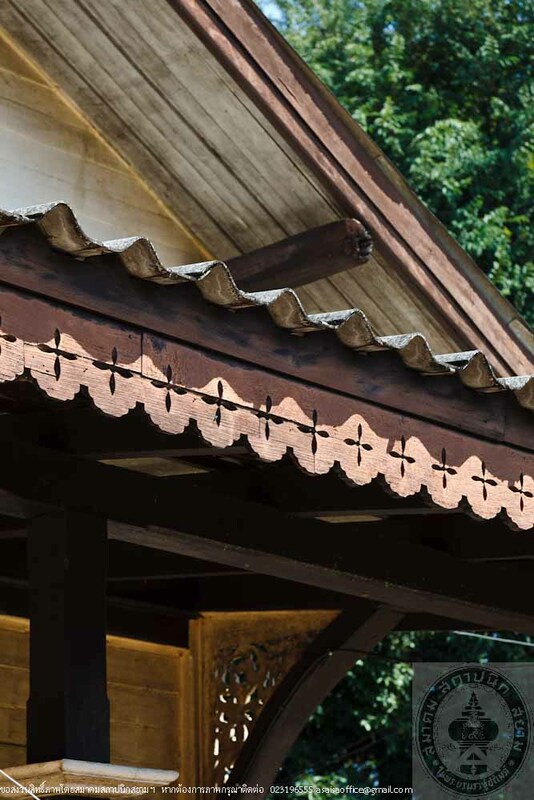 The roof is covered with curved tiles. 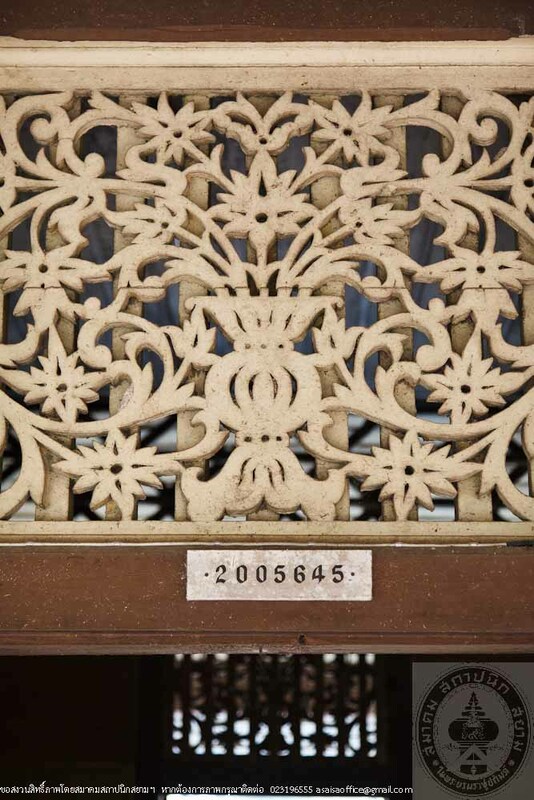 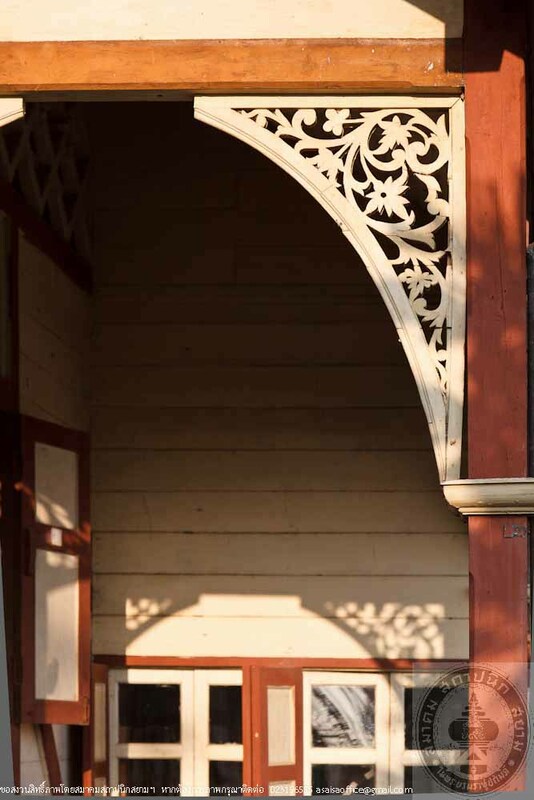 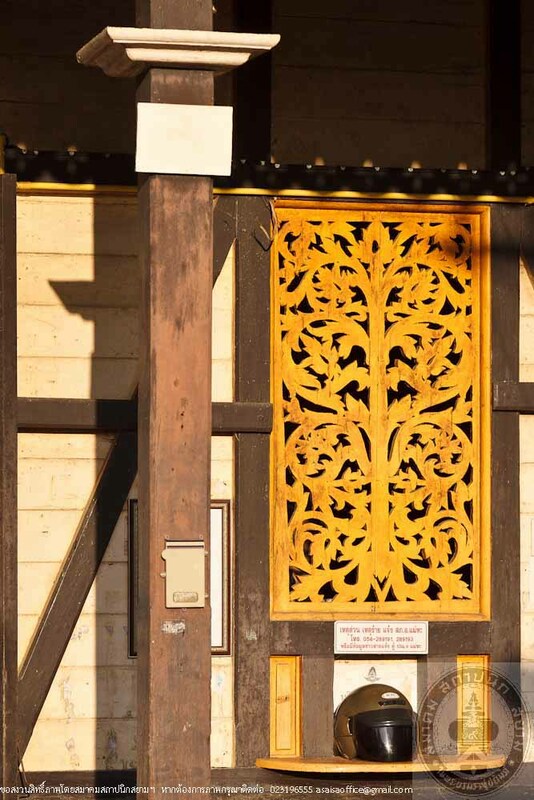 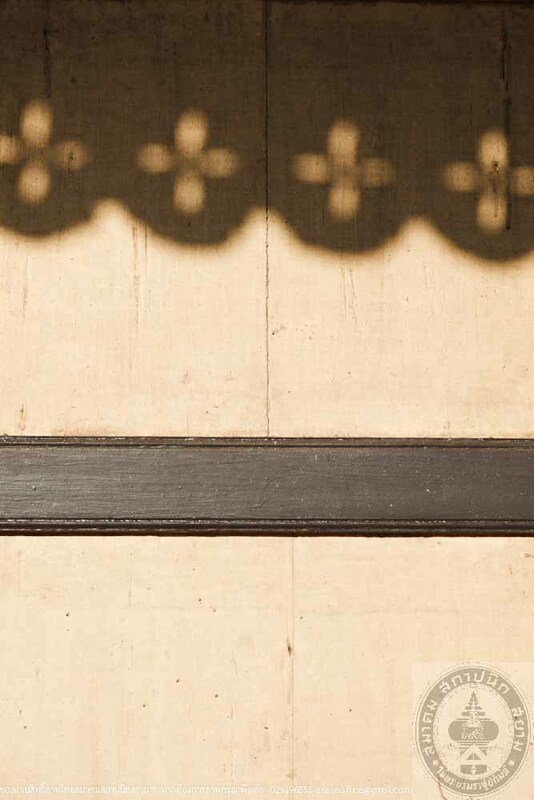 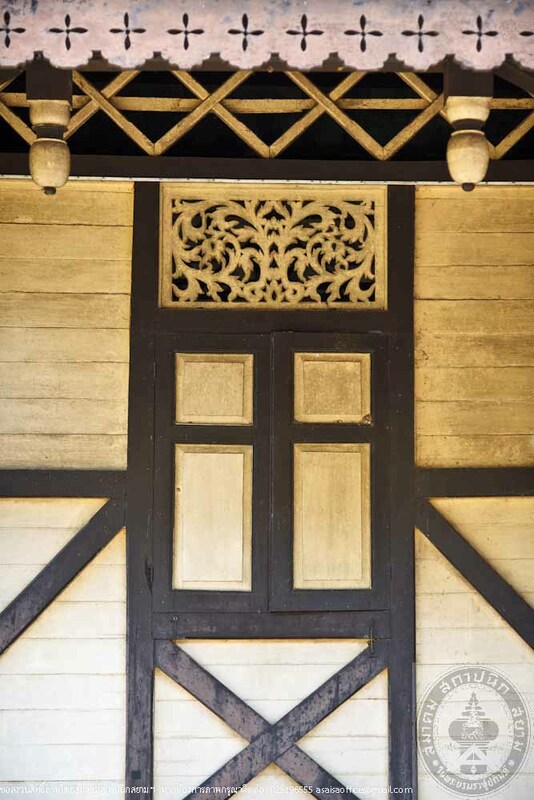 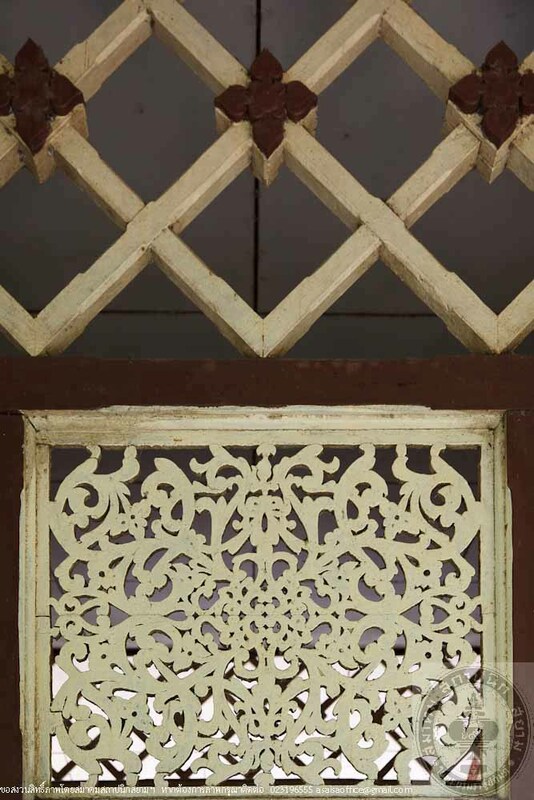 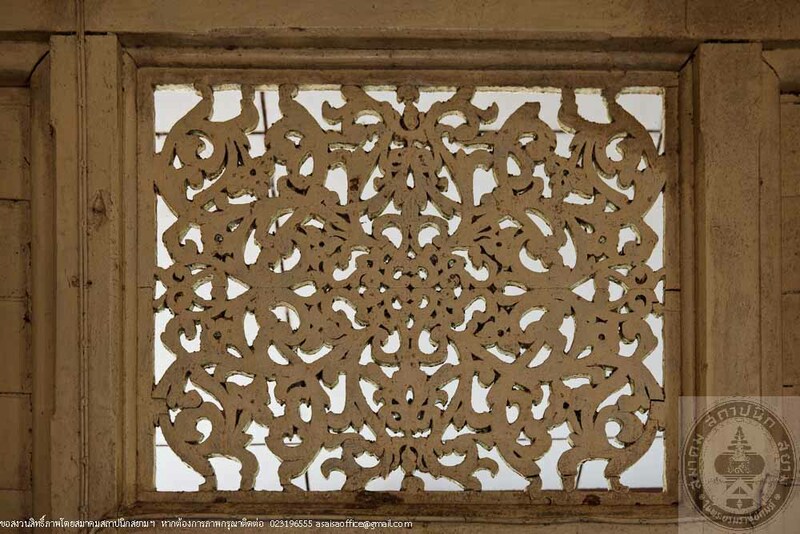 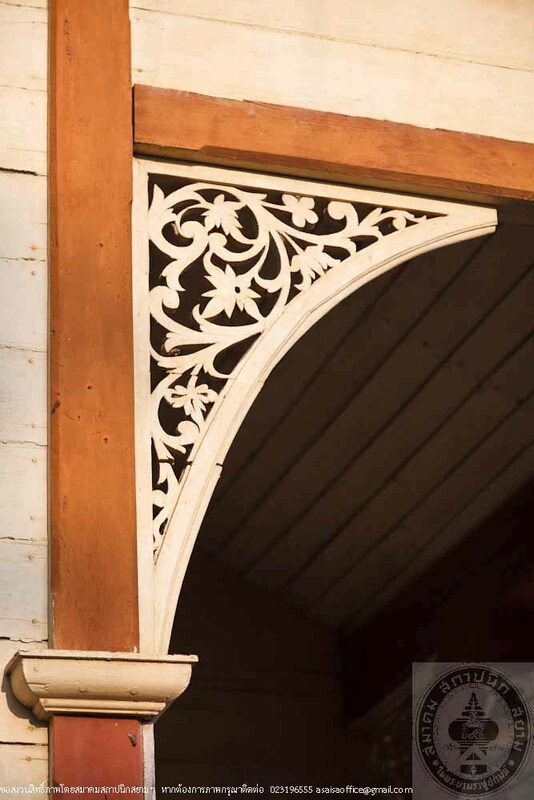 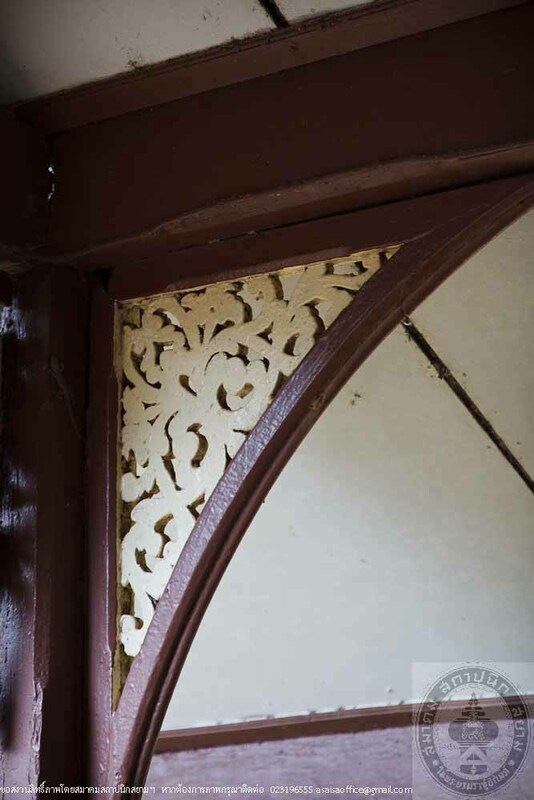 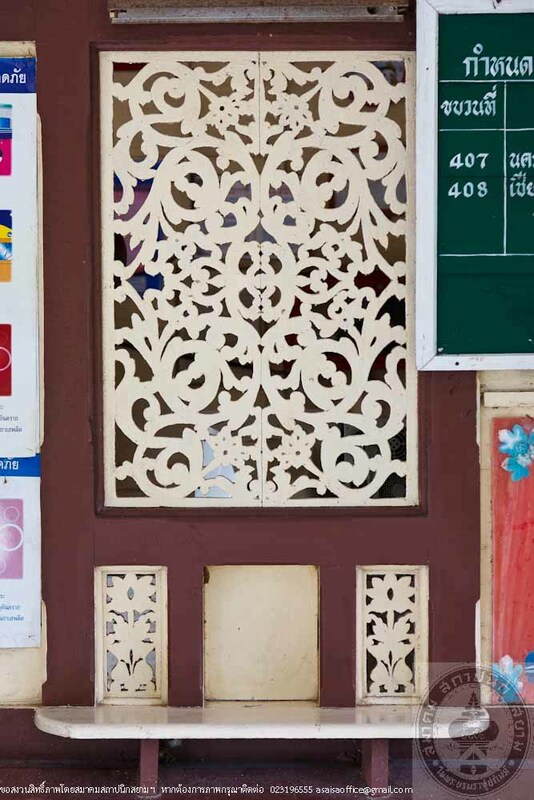 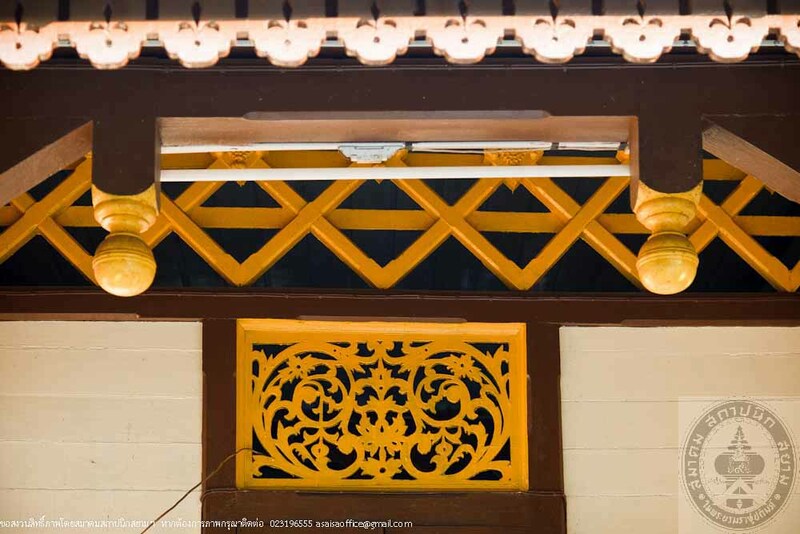 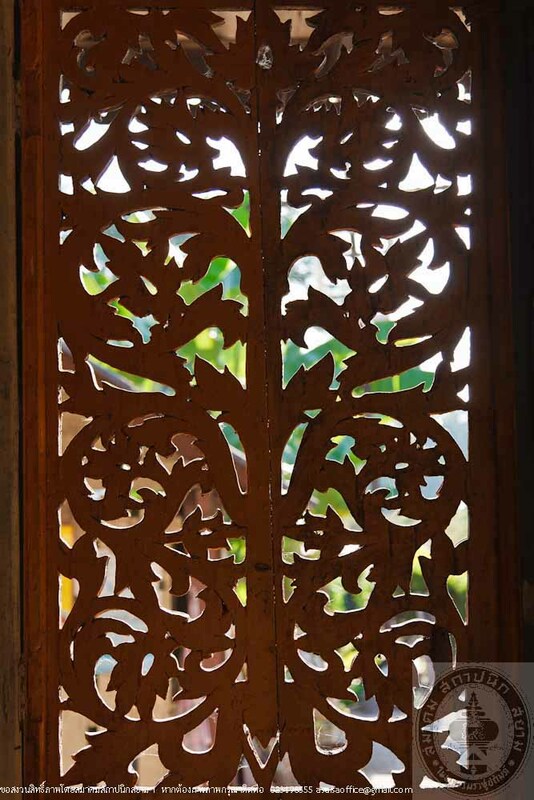 Above the doors, windows and space for selling tickets are decorated beautifully with wood carving. 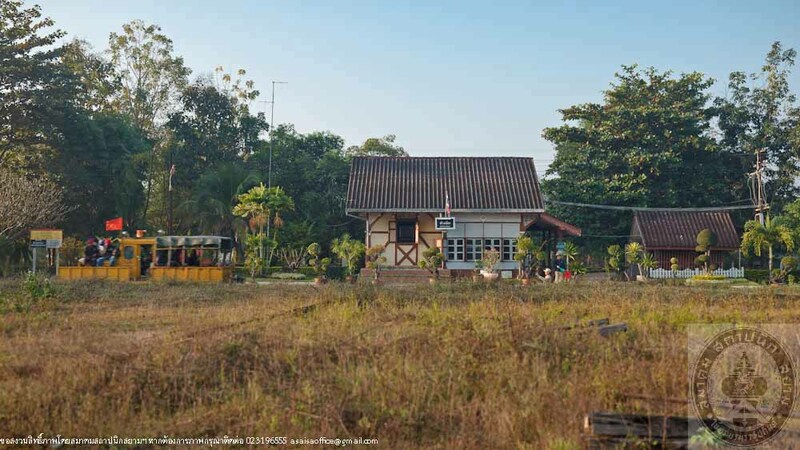 From 7 - 21 April 2010, the Conservation Commission of Art Architecture Association of Siamese Architects under Royal Patronage has arranged the ASA Vernadoc 2010 Project of which the objective is for survey and drawing the current situation of Lampang Railway Station, Ban Pin Railway Station and Mae Tha Railway Station. 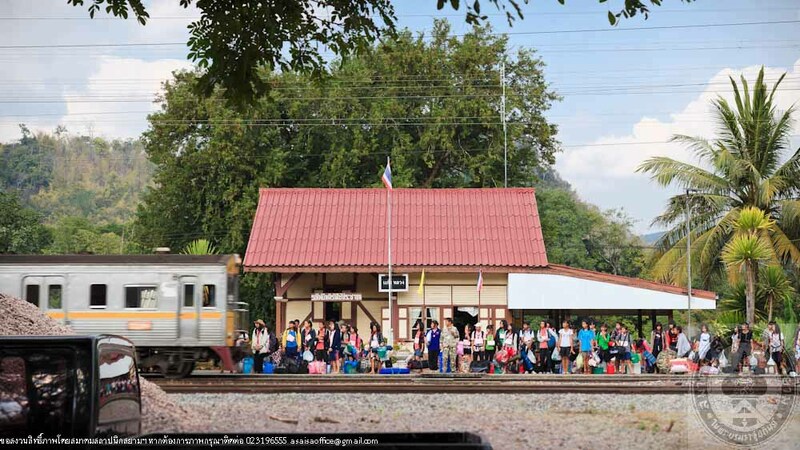 The information from the survey will be distributed to the public and the State Railway of Thailand. 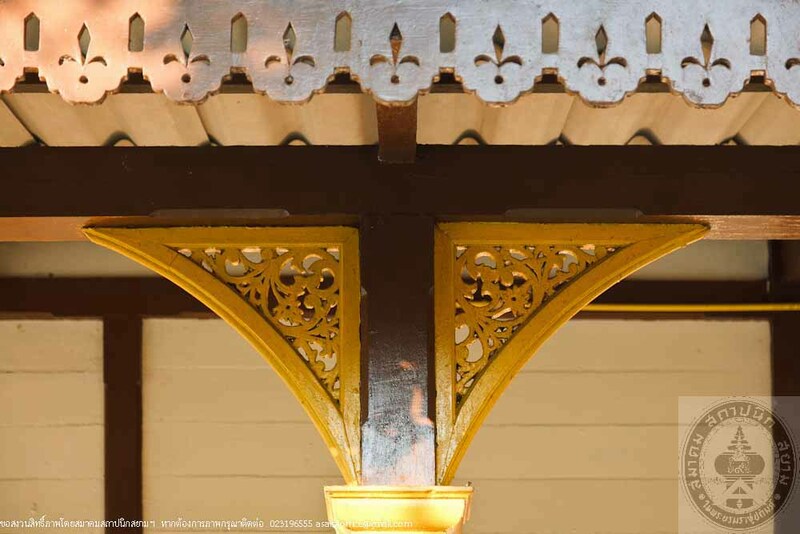 It is hopeful that these railway stations will be maintained in an appropriate way as an architectural heritage of the country.